The soldiers also invaded Azzoun town, east of the northern West Bank city of Qalqilia, and searched several homes, including the home of a former political prisoner, identified as Osaid Yasser Salim. 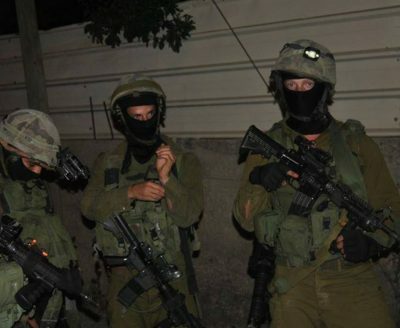 Also at dawn, the soldiers abducted two Palestinians; Mousa Khalil al-‘Amour, 17, and a former political prisoner, identified as Awadallah Adel al-‘Amour, 20, from their homes, in Teqoua’ town, east of Bethlehem. 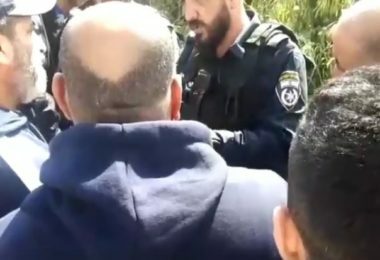 In related news, dozens of Israeli soldiers invaded Borham village, northwest of the central West Bank city of Ramallah, and abducted a prominent Palestinian journalist, a correspondent with Palestine TV, identified as Ali Dar Ali.